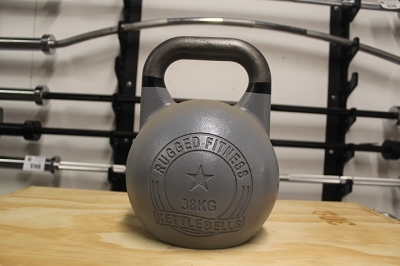 One 18 kg (39.6lb) steel kettlebell. Color Yellow with a black stripe. 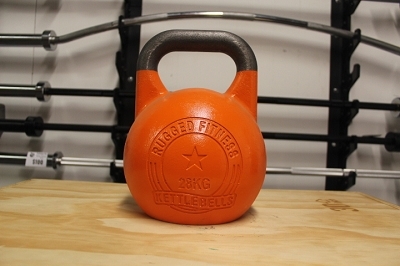 Competition Kettlebells are different then regular cast iron kettlebells in that they are always the exact same size regardless of the weight. This means that whether you are using an 8 kg or a 40 kg kettlebell, it will always rest on your forearm in the exact same place. This ensures that your technique stays consistent regardless of the weight you are using. 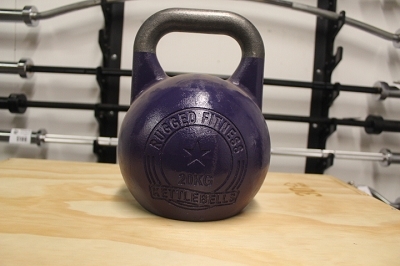 Traditional cast iron kettlebells get larger as they get heavier, and each size rests in a slightly different place in the rack position on your forearm. 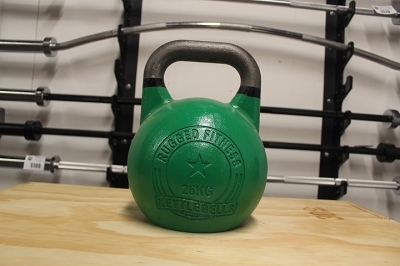 The handle diameter never changes with competition kettlebells and neither does the space inside the handle. This means that your “hand insertion” on a competition kettlebell never changes so that you can concentrate on technique, the most important aspect of kettlebell training.Competition kettlebells are made from steel, not iron and this makes them slightly more durable than iron kettlebells. They have a larger mass in the ball of the kettlebell, imparting different, and many think, better ballistic properties due to this larger center mass.